The Gemini PMX-10 is a two-channel mixer with a built-in four input / four output interface. It’s got 16 RGB pads for triggering hot cues and sample pads, two pairs of phono / line inputs for hooking up turntables and DJ media players, as well as a USB connection for hooking up to your laptop. It also works standalone, letting you route audio through it without the need for a computer. The Gemini PMX-10 is a compact two-channel mixer with four input and output interface built-in. There are 16 programmable RGB pads for triggering samples and cues, a stereo pair of phono/line inputs, a combo jack, a dedicated mic channel that is connected by a 1/4″ port and a USB input for connecting to your laptop. 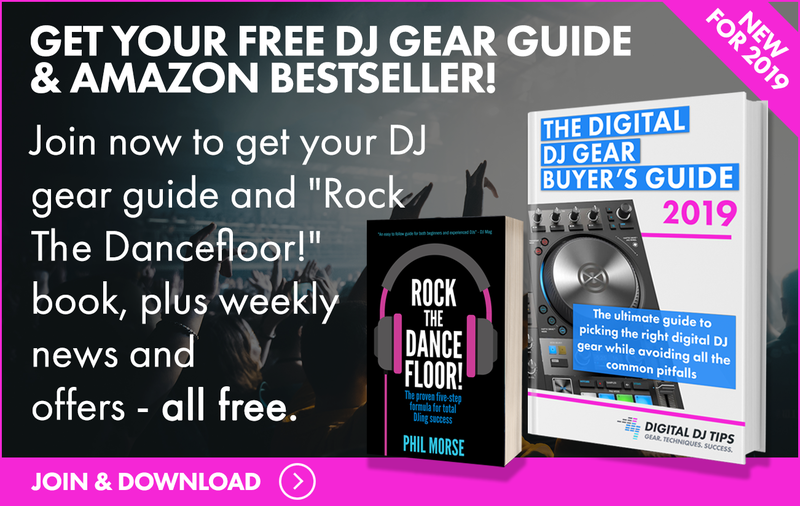 It works with Virtual DJ and you can plug in your turntables and spin with DVS. Both channels have a three-band EQ, gain and filter knob alongside eight pads on each side for triggering samples. The PMX-10 also has digital effects built-in and are controlled by several knobs on both sides. In the middle are the master and monitoring knobs and the master signal meter and crossfade. All in all, the PMX-10 is a solid performer both as a mixer and controller, and is an affordable heart of a budget DVS set-up for DJs who want to get started spinning with timecode vinyl and turntables. 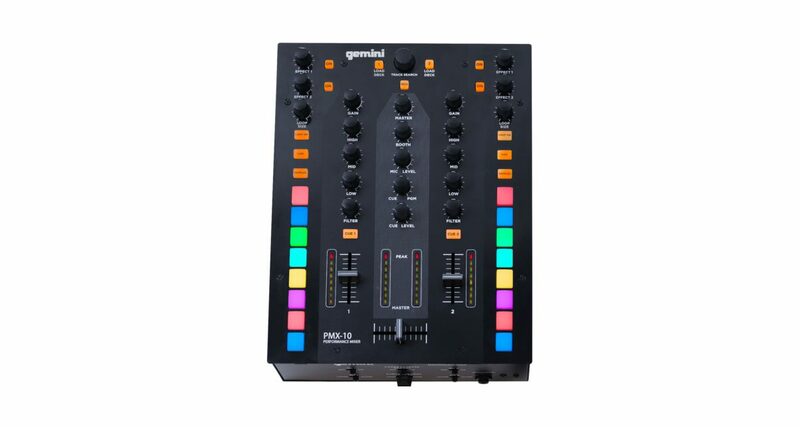 From the mixer side of things I’d check out the Pioneer DJM 250 (or Traktor Z2 if your budget would stretch), this is a bit of a weird product though in that it tries to do many things in one package, for $299 I’d be going for an all in one controller with jogwheels instead!